An audit that Samsung conducted on 65,000 employees in China, covering 105 of the suppliers it uses in the country, revealed some illegal practices that the suppliers were doing, including the use of excessive overtime. 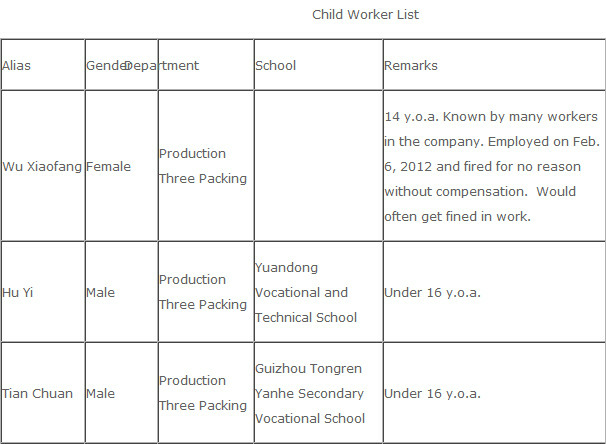 This followed complaints made in August by labor rights group China Labor Watch that Samsung suppliers were hiring children and that working conditions were "inhumane". In September, some Samsung suppliers were said to have used illegal discriminatory hiring practices. Samsung did face-to-face checks on employees under 18 and found no children working at the factories. What the Korean based manufacturer found was employees who worked overtime beyond legal limits and workers who were fined for being absent or tardy. The tech titan has been auditing suppliers in China over the last four weeks and is continuing to audit another 144 of its suppliers in the country. Samsung says its suppliers must meet local laws as well as the Samsung Supplier Code of Conduct. In August, China Labor Watch said an investigation during June and July found that employees under the age of 16 were working alongside its investigators at a HEG Electronics (Huizhou) factory. Samsung uses parts made at the plant for its mobile handsets among other products. 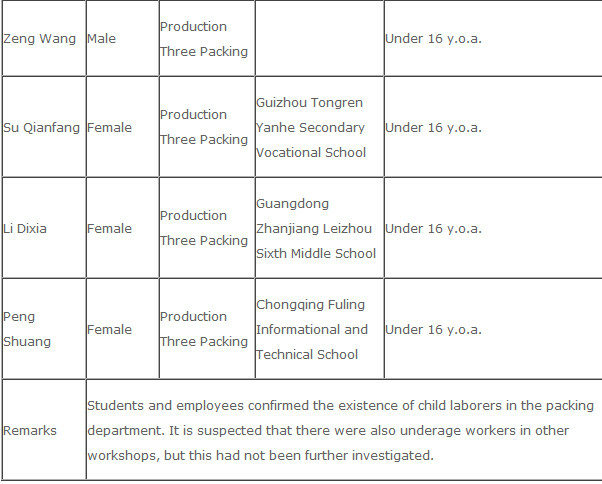 China Labor Watch claims that 50 to 100 workers at the factory were children with the youngest being 14, getting paid just 70% of adult wages. According to China Labor Watch, "...these child workers were often required to carry-out dangerous tasks that resulted in injury." Contract manufacturer Foxconn, used by Apple to assemble its mobile devices, admitted last month that it hired a number of children through a "school program." Foxconn workers for years have complained about conditions at the factories with some allegedly committing suicide. In September, Samsung promised to investigate the practice of using child labor although hiring children seems to be a seasonal issue seen when school is out in the summer from early July to late August. Samsung said that the hiring practices of its suppliers must be changed and any supplier found to employ children in its labor force will lose Samsung's business. Additionally, Samsung said that reducing overtime hours is a top goal for the company, with overtime beyond legal limits coming to an end by 2014. Longer-term measures related to employees hours will be developed at the end of this year. Samsung says it continues its "zero-tolerance" policy on child labor and asks its suppliers to purchase electronic devices that can help its suppliers detect phony IDs. Additionally, Samsung wants suppliers to cap temporary workers at 30% of full time workers. By the end of the year, Samsung wants its suppliers to provide safety training and equipment, train managers on sexual harassment and physical and verbal abuse and eliminate the fines/punishment system among other things. Foto: "Picture of young workers at a Samsung supplier's factory" Any proof that this photo is from Samsung supplier's factory? Because it may be any random foto from WWW. "why do you think the source is posted in the article?" Yes, I already saw that. These photos are taken by "China Labor Watch" as a proof but there is one problem because these photos doesn't provide any information that these kids are from Samsung supplier's factory. 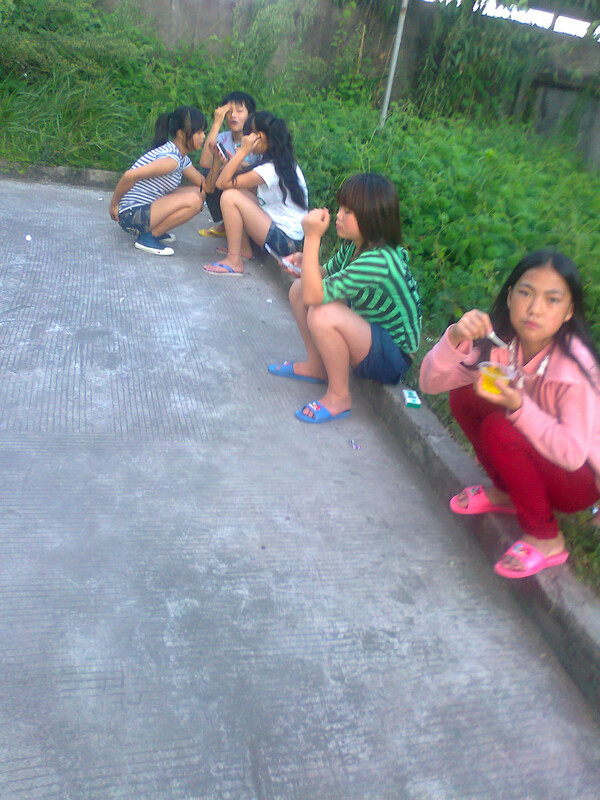 Anyway I don't say that "China Labor Watch" tell lies! I just say that these photos doesn't provide any proves that these kids are from Samsung supplier's factory because in these photos I can see just a few random kids sitting in the street. "and when its apple you can accept it even when there is no source :/" Any proof for such proposition? You see, I don't care it is Samsung, Apple, HTC or Nokia because in this case my point was that internet is full of various kind of propaganda and you always have to analyze all incoming information and decide it is truth or just untrusted information. In this case I tend to believe in "China Labor Watch" words but again these photos doesn't say nothing! China is such a messed up to children country!!!!!!!!!!!!!!!!! Exactly. Phonearenauser is a notorious cover upper when its got something to do with android. Where do you see here Android? Dude ur not fooling anyone. We all read ur posts all day everyday. So please...save it. "Dude ur not fooling anyone." And I'm not trying to fool someone! Yes, I dont like Apple and I'm not trying to hide it! Where do you see that I'm trying to deny that? But again WHERE DO YOU SEE HERE ANDROID ? iHate to burst your bubble but, this is not some random World Wide Web photo, it is an actual photo taken inside Apple headquarters in Cupertino, California.. It's really sad what's happening with child slave labor in the World. "It's really sad what's happening with child slave labor in the World." Agree. As much power the Chinese government has, it really should have its own fully-functional OSHA by now, if only to stop bad press about itself and its citizens. Yes, the OEMs should require the factories to hold a certain standard, but the factories should be willing to do that on their own, not be forced by the OEMs and/or government. See. It's not just Apple. K we can accept that, but u constantly try to look past google/android negativity, but point out apples. At least they are taking measures to stop these and have given them a deadline, they themselves did these checks. Human rights groups had to check on Foxconn and Apple wasn't even a bit concerned. Difference is Samsung is trying to do something about it, whereas apple couldn't give two sh*ts about labor conditions in their plants. Apple, Samsung, & many other companies, disregard human rights in favor of higher profits. U.S. was doing much better (financially & morally) before all these bs. one way trade agreements with China. Just makes it easier for wealthy multinationals 2 exploit people... & Samsungs pledge 2 stop breaking the law in 2 years ? Since when is complying with the law optional ? This is what happens when government allows big business to police themselves. Samsung made a lot of products from china. Phone is just one item. Apple fans are too emotional to be logical. You have the freedom to choose apple products but can you read the words for the meaning without thinking about apple vs android.